The 5000 Poppies Project returns to the Shrine of Remembrance in the lead up to Remembrance Day with a contemplative walk of handmade poppies articulating 'The Ode' from Laurence Binyon’s 'For the Fallen'. Installation will occur on the mounds of the Shrine from 2pm on 4th November, a week from Armistice Day, and can be viewed at anytime. 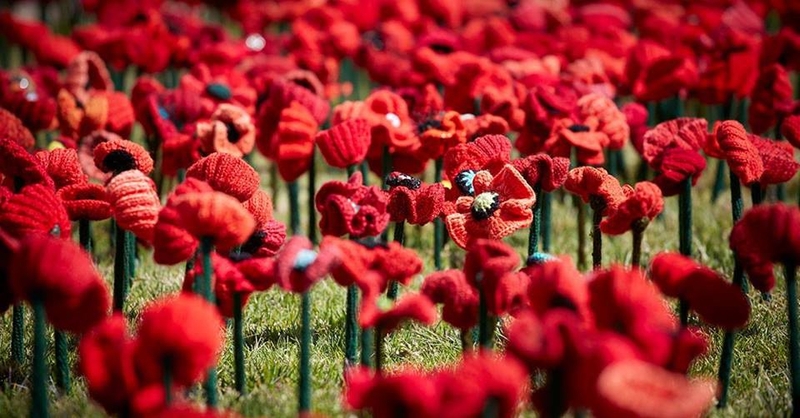 We recommend a contemplative walk of the home-made poppies around the Shrine. The poppies will be removed on Monday 12th November.